Callido Learning is an edtech startup founded by young entrepreneurs from Brown University and the University of Warwick. 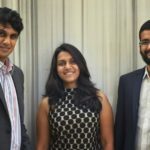 Edtech startup founded by Ivy League graduates. To know more on the latest practices of technology in education and how leaders are running institutions in the digital age, attend & network with international speakers & thought leaders to discuss global education practices! Show interest to register for EdTechReview Summit & Expo to be held on Feb 2nd and 3rd, 2018! Callido’s first product, Callido Basecamp – an online preparatory course for students entering the IB Diploma– is launching worldwide this July. Callido Basecamp equips students with the key skills they need to excel in the IB Diploma – critical thinking, research, communication and time management skills. The course is designed by leading names in the IBDP teaching community, IB examiners and DP Coordinators, making it a unique offering that the founders believe will gear students up for the programme and give them a significant, enduring advantage. “Basecamp is structured in a very interactive way that will keep students engaged and will help them build critical skills through immersive scenarios and challenging exercises. The online platform makes it flexible – take it anywhere, anytime. Rewind, retry, and explore at your own pace. 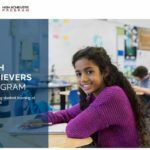 The data analytics and personalized reports will allow students and parents to track progress,” says co-founder Chinmaya Kulkarni, who takes pride in teaching 21st century skills with the fun and power of tech platforms. “It prepares students for careers that don’t even exist today”. The subscriptions to the course are now open and interested students can visit the website www.callidolearning.com for more information.